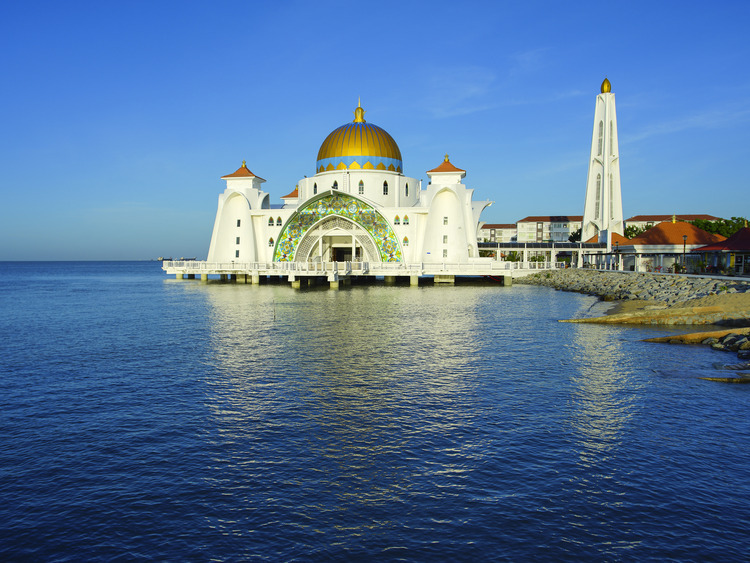 Let us discover the charming city of Malacca and its glorious past through the places reminiscent of the Portuguese, Dutch and British colonial periods. Our tour starts with a visit to the Al-Azim Mosque, built in the Sumatran style and located approximately 2 km from Malacca, where we can take some unforgettable photos. We then head to ¿Mini Malaysia¿, an amazing theme park boasting replicas of traditional homes from the 13 Malaysian states. The Malaysian-style homes were all built by master craftsmen and furnished with typical elements that make them truly original. The park covers 5 hectares and was inaugurated in 1986 by the Malaysian Prime Minister. We will also attend a performance of traditional ethnic Malaccan culture with dance. The next stop on our tour is Bukit China, the hill chosen as the official settlement for the Chinese entourage that followed Princess Hang Li Po, which remained there until the arrival of the Portuguese in 1511. Nowadays, it is thought that Bukit China is the location of one of the largest Chinese cemeteries outside state borders and that many tombs can be dated back to before the Ming dynasty. After our buffet lunch, we move on to the Cheng Hoon Teng Temple, the oldest Chinese temple in the country. It was founded in 1645 during the Portuguese occupation (1511-1650) and built with materials imported directly from China. We stop for some photos at Dutch Square (exterior visit), which was built as the official residence of Dutch governors and their officials and therefore an excellent example of period Dutch architecture. A short trishaw ride will take us to our final destination, Porta de Santiago, built by the Portuguese in 1511 as a fortress and badly damaged during the Dutch invasion. When the British took possession of Malacca, they tried to destroy it completely but the prompt intervention of Sir Stamford Raffles managed to save its remains in 1808. We visit St. Paul's Church, once again built by the Portuguese and originally called ¿Our Lady of the Hill¿. It is here that St. Francis Xavier was sanctified in 1553. When the Dutch returned to Malacca, they turned the chapel into a burial ground. We finally head to the Proclamation of Independence Memorial. Located inside a 1912 British villa with Mogul-style domes, it displays manuscripts, films, slide shows and photographs describing the events that brought independence to Malaysia in 1957.